This professional electric wheelbarrow gives users self-assurance due to its easy handling and manoeuvrability. The semi-automatic tilting of the skip is helped by an electronic system and a knob accelerator that controls forward and backward speeds. The tilting system allows for rapid switching of various accessories. 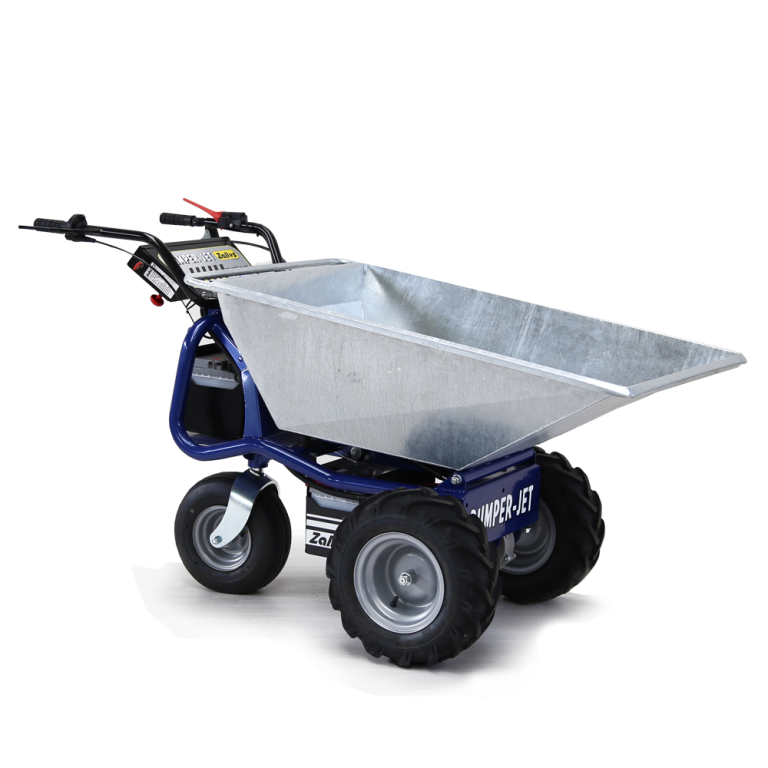 The Dumper Jet is ideal for use in closed environments and covers most daily commercial and industrial operations. Load capacity of 500 kg (1102 lbs).